These are questions I get asked regularly — from friends, my team members, people at the gym, and clients. While I love to be spontaneous and flexible, when it comes to productivity, the name of the game for me is routine and having a plan. For me, it all boils down to 10 simple steps. And it WORKS. Ok, you may be wondering… why is this weight loss guru talking about productivity? Well, when you think about it, they are actually quite similar! When I’m asked, “How do you help people lose weight and keep it off?” the answer is, “I developed a specific methodology.” It’s not luck, or a shot in the dark, or a mystery. The secret here is that there is no secret. There’s a science. A process. Weight loss and productivity have many parallels. 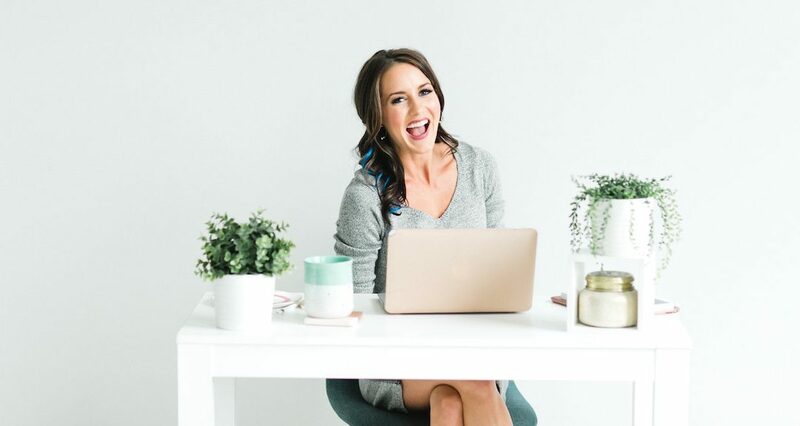 That’s why I thought you’d love to learn about my proven 10-step productivity system… because it will help you in your own life (and likely in your weight loss, too). Perhaps the most important element of a productive day is your morning routine. For years, I heard this from many experts, but didn’t take it seriously. Here’s what my days used to look like: Within 5 minutes of waking, I would jump on my computer and start working. “Seize the day!” I’d say, as I sat in that same spot from 6am until my body started to doze off around 11 at night. I was not being productive or proactive; I was being reactive. My mind was never clear. I was constantly jumping from one thing to another. My brain was pretty much in crisis mode, alway looking for what had to be done next. Because of this, even though I was doing a lot, I never actually felt accomplished. I always felt like I was a step behind, trying to keep up, playing catch up. It was like playing a game of whack-a-mole all day long! Starting my day in this headspace was detrimental to the quality of my work, my health, and the quality of my life. The brain is at its highest operating power in the morning... and I was giving all of that energy to everyone else’s tasks! That’s when I started taking control of my mornings with a clear routine. The recipe for my morning routine essentially has 3 ingredients, what I call the 3 M’s of the morning: Mindset, Movement and Mojo. Mindset: I start the morning with a time for meditation, prayer and journaling — anywhere from 10 to 30 minutes. The key is to get me to a state of peace and gratitude so that everything that flows out of me, comes from a grounded place. A place of peace. Without this step, I fall into old frazzled habits. Movement: I typically do my “Morning Metabolism Hack” which is a quick run to the coffee shop (more on that in this post), or it might be five minutes of body movement exercises (like push-ups, jumping jacks, and squats), or a few minutes flowing through my favorite yoga poses (like downward facing dog and cobra pose). Mojo: I find my mojo once I have my PFC-balanced breakfast, supplements and coffee! Breakfast is usually a smoothie because I can make this really fast, and I don’t usually feel like eating a big meal when I wake up, AND I can jam-pack it with tons of supplements and nutrition that fuel my body and brain for the day—like Glutapowder, MultiVive powder and VeroVive™ Fruits & Greens. Mornings don’t have to be rough. I now enjoy my mornings more than ever. This short routine generates momentum, and makes me feel like I’ve already won the day! 2. I make my bed. This one is simple. Right when I wake up, I make my bed. It gives me a sense of accomplishment right away, which has a ripple effect on the rest of my day. There may actually be scientific reasons for how this works, but for me personally, I notice that when I make my bed it sets me up for a day of accomplishing things. And because I work from home, for me to be able to focus, my space needs to be tidy. So this is an easy win-win to kick off the day. On the regular. And I think this goes beyond the simple fact that I normally work from home and like a clean space. I think decluttering my space also declutters my brain. So, I’ve been working really hard at leading more of a minimalist lifestyle, getting rid of clutter and extra stuff, and the more I move toward that, the more freedom I find. Full disclosure: This has been something that’s been super challenging for me. I was raised to be very resourceful (we got our clothing from garage sales, never threw anything out, and didn’t waste anything). This is probably why it’s been hard for me to get rid of stuff. I’ve realized that having extra, unnecessary, unused things occupies energy and space in my mind. Abiding by the rule “If it’s not beautiful, you don’t love it, or haven’t used it in a year, it goes” makes it super simple. It also means less stuff to take care of, and less decisions to make. That’s why, for instance, when I speak, you’ll see me wearing the same blue dress just about every time. When I’m preparing for a big speech, the last thing I want to do is waste precious brain space and mental energy trying on dresses or rummaging through my closet. I feel great in the blue one, so that’s the one I rock. Just about every time. 4. I put limits on social media. I have an urge to check my phone right when I wake up, but I’ve made a huge effort to put this to a halt, and instead go into the first M of my morning routine (mindset). I don’t want the first things to enter my brain to be other people’s lives or what’s happening in the world. So, I save my brain space for my own tasks and projects, and I set aside time later in the day to check and post on social media. I also schedule some of my posts so that some days I can take a social media hiatus (you’ll notice my posts aren’t always in the evenings). 5. I plan my day. By deciding what’s most important, organizing and preparing for the day, you can easily make your way through the day knowing what to focus on. At the end of every day (or after my last work task of the day), I regroup, cross off everything I did, and organize my priorities for the next day by creating a “Tomorrow List.” Then the next morning, I revisit this list to plan out my day. Planning your day allows you to proactively choose where to focus. As I’m planning, I make note of the projects I need to work on, and I write out a to-do list on paper so I can cross out items as I get them done. This gives me a great sense of accomplishment! During this planning time, I also make sure to schedule in a workout if it’s a day where my body feels up for it (read this post for more on my workouts). I have my calendar set so that no calls are scheduled before 10am, because the morning is my most productive time, and I want it dedicated to my own projects and program development—not someone else’s (it’s okay to be selfish with your time!). This entire planning process takes less than 5 minutes (some at the end of the day and some at the start of the next day). 6. Do the dreaded thing first. The "frog" he refers to is your most important task—the one you're dreading the most because it's so huge and important. (You know what I’m talking about. Ever had that task sit at the top of your to-do list for days… maybe even weeks? And you find that it never seems to get done!? I sure have.) Creating the habit to do your biggest task first can give you a huge boost of accomplishment first thing, AND it gets it done! Putting off tough tasks until the end of the day makes it so much harder because we have a much lower brain capacity. Get it out of the way and move on! I’ve referred to brain capacity a couple of times already in this post, so let me expand on it now: It’s all about managing your energy. Just like it’s important to manage your time, you need to manage your energy. We (ideally after a good night’s sleep!) start with our energy up, and it drains gradually throughout the day. Think of the brain like a muscle: just like any other muscle it gets fatigued the more you use it. So, as the day goes on, it wears out, until you let it rest and recover for a night. Then, when you wake up after a restful night, it is refreshed, sharp and ready to use again! My biggest downfall (maybe yours too?) is giving away my energy to help other people get their work done (email, calls, etc). That’s why, when I plan my day, I aim to tackle one of my biggest projects first thing. When you start with a big task (“frog)”, it’s easier to do it, and then the rest of your day looks pretty awesome by comparison. It’s most productive to get an hour or more of work done on one of your frogs that takes a lot of focus, will and determination to complete before “the rest of the world” gets into your day. 7. I stay ahead of my inbox. And, I also limit my time in there. I’ve notice that it’s so easy to get wrapped up in an overflowing inbox. Before I know it, hours have passed! So, I try to limit my time to 15 minutes in there in the morning. Because I have a team of many people, I do need to check my inbox in the morning to give direction, and answer quick questions so things can get done. My solution is to set a timer to hold me accountable to my 15 minute limit. A key hack I learned from a friend that has been a total game changer for me is to keep my inbox to ZERO (another thing that makes me feel accomplished!!!). I created an Action folder, so anything that will take me longer than 2 minutes to respond to, or that I can’t delegate to someone else, is moved there. This makes it easy for me to spend 15-20 minutes in my inbox and get through everything. Then I block out time on my schedule later to get through the Action folder emails. BrainFM: This is enjoyable background music that uses binaural beats designed to keep you focused. The science of it is explained on their website, but even if it were just the placebo effect, I’d keep using it because it really works for me to stay on task for long periods of time. Be Focused PRO: This is a timer app I use to help me stay focused for specific chunks of time. It tracks how many focused sessions I’ve done, which allows me to see how productive I’ve been. You could totally use a basic timer, but I like how I can see the time in the corner of my computer — it feels like a game where I’m trying to get as much done as I can in a specific time frame. No time for social media or distractions when you’re trying to beat the clock! Headspace and SyncTuition: There are many meditation apps and programs (I’ve tried a lot of them! ), and these are my two favorites. I use both of these every single day. In the morning I use SyncTuition — it’s a type of meditation that uses 3D sounds, which I find to be really helpful for getting into a good headspace. And then I use Headspace when I’m laying in bed at night to wind down and get ready for a good night’s sleep. Oura Ring: If you’ve seen me wearing a big, gaudy black ring, it is the Oura ring! It uses the newest technology to track not only your activity, but your heart rate, your sleep, your temperature, and more measurements of wellness. It tells you how many hours of deep sleep you got, how rested you are and if you should take it easy or get in a tough workout. AND, just last week they announced that they now have sleeker, more elegant styles (I’m seriously considering buying another one — I love their new styles! And I got them to give us 10% off with the code cassie10 😉 ) Anyway! I’ve never been a fan of Fitbits or other tracker type devices, but for some reason I’m just in love with this thing. Of course listening to your body is most important, but for me it helps to take a couple days off if Oura confirms that I need it. Otherwise, I tend to push myself too much. F.lux and blue light blocking goggles: There are all sorts of apps to block out blue light to promote restful sleep (blue light has a negative effect on your sleep). I use F.lux on my computers to filter out the blue light emitted by the screen as the day goes on, and the iPhone has a built in “Night Shift” option (look in your settings). But even when I’m walking around in the evening, I find it helpful to wear nerdy blue light blocking goggles to help me wind down and prep for sleeping. Workflowy: This is my favorite app for staying organized and reducing mental clutter. Their tagline is “Organize your brain” and that’s exactly what it does. Before I found this, I’d have little lists all over the place — on post-its, on my Notes app, in word documents, in text messages I sent to myself…no wonder I felt scattered! Now, I put everything—ideas, thoughts, tasks— all in one place — from work to personal. It’s pretty simple but it has done wonders for my work flow, and keeping me organized. It’s kinda hard to explain in a post, so if you’re interested, check out their videos here. Power hours are dedicated time to focus on a specific task or project, and get it done. My friend Stacie told me about these. I do these throughout the day, but also if I have a free evening or on a weekend or vacation if I just want to crank out some work really quick and move on, I’ll set my Be Focused PRO app for 60 minutes, turn on Brain FM and crank it out. This concept has been key to not only help me be more productive with my time, but also (and perhaps most importantly), has allowed me to live a more balanced life (and practice what I preach!). By giving certain tasks away to my team members, I can use my energy for projects that demand more of my attention, and not spend time on ones that don’t. Often I am asked, “How do you do it all?” And the answer is, I DON’T. While the brand “Cassie.net” may appear to be just me, that’s not even close to the truth. We have an amazing team of full time staff members from our operations manager to customer support to dietitians to graphic design, IT, and finance. It took me too long to learn the importance of delegating but once I began reaping the benefits, it became one of my most favorite things to do. 🙂 Since brain capacity is NOT an unlimited resource, delegating allows me to use mine for what matters most. This can apply to anything in life. Find the tasks that aren’t important for you to do, and practicing giving some of those away! Click here to download my free 1-page PDF that I used to develop my morning routine!